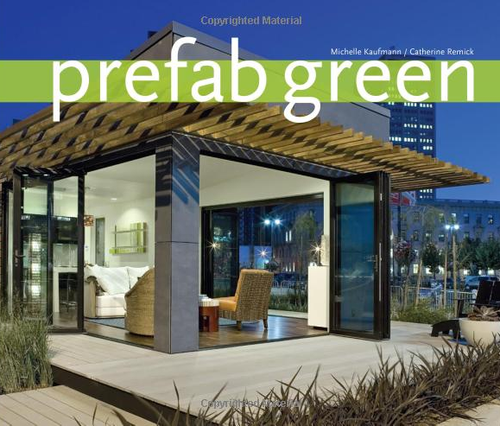 The main driver for the performance and affordability of the recently-mentioned Rainbow Duplex is a panelized prefab system of construction that was designed to help projects meet the Passive House standard. 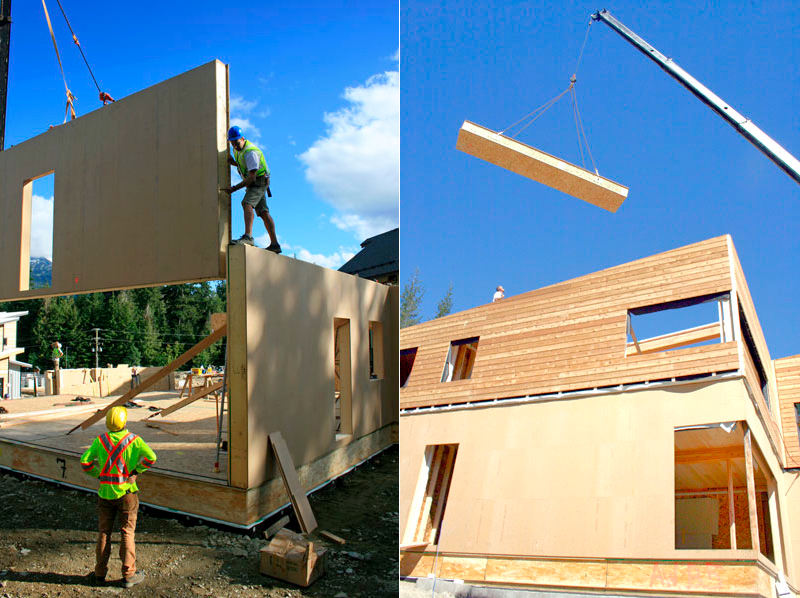 BC Passive House in Canada has a manufacturing plant that’s making these panels, and I thought it would be interesting to share what’s inside the company’s next-gen, high-performance panels. Below, you can see the detail for the roof (R66) and floor (R66) panels as well. 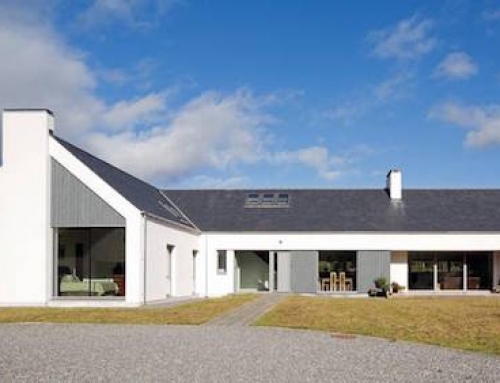 For windows, BC Passive House supplies Optiwin windows from Austria and suggests the use of something that is triple-pane with insulated glazing, argon, low-E coatings, and free of thermal bridging. 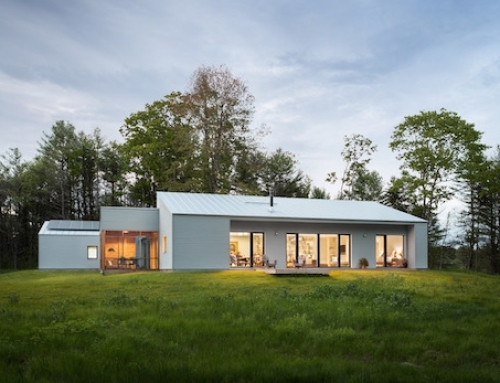 For those of you heavily involved in designing and building Passive House or near Passsive House projects, I’d be interested in hearing your thoughts about the above detail. [+] More about The Prefab Panelized System by BC Passive House. It looks like they attach the panels to steel posts in the corner. Other than that, I don’t see any structural hold-downs. Is that adequate for seismic design? I’ve read all 3 blog posts about the rainbow duplex, and I haven’t seen the price per square foot. Do you have this information? 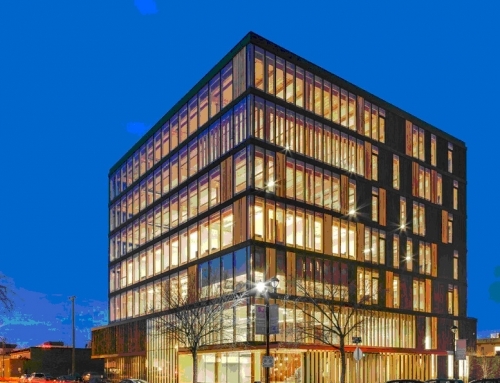 While I’m not in passive design, this stickup looks interesting because it is taking the SIP principle but utilizing lower cost material(s) in cellulose and rock wool. 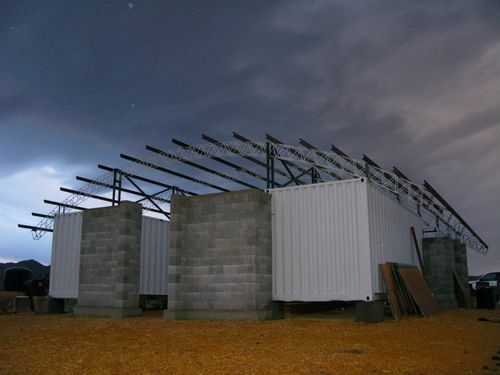 With the double top/bottom plates and no penetrations in the exterior walls, they could pack without worry of settling. Also, the panels also look as though they are basically two walls thus reducing thermal bridging. I would be interested in $/sqft as well, to see mainly if cost competitive with SIP systems. Re gerrr, I suspect that the system is mounted the same way as SIPs given the OSB sandwich. If SIP are adequate, then I suspect these are as well. Insul-Wall is also 30 – 40% lower cost than SIP panels. Also Insul-Wall saves hassle because we are still using 2x framing so there are no special certificates or inspections needed. Installation labour costs are lower than SIP panels because we still use familiar framing details so no specially trained personel are needed – any framer or carpenter can install Insul-Wall. I’m not familiar with the term “Diffusion board”. What is that and how does it differ from any other exterior sheathing like OSB? 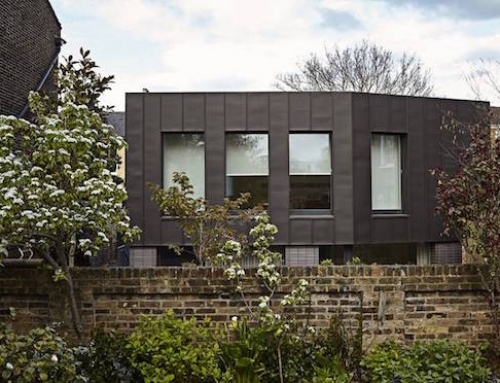 Does it have an integral building wrap? I’m told by the architect that anything below $300 per square foot in Whistler is considered affordable with single-family homes ranging between ~$600,000 and $9,000,000. This duplex came in at about $250 per square foot, which math puts at around $750,000. 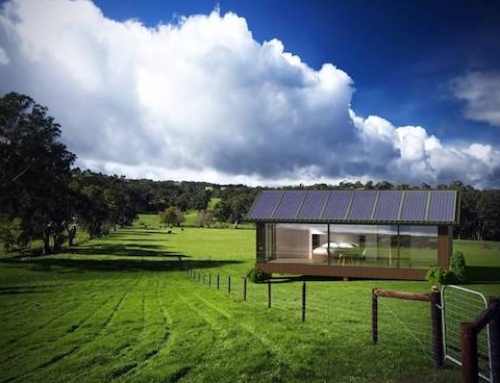 affordability? I’m not guessing the electric bill is the first issue of a vacation home with a million dollar footprint? Not a vacation home — these are available only to residents of Whistler who live and work in Whistler — per the Whistler Resident Housing Initiative. I don’t know…. 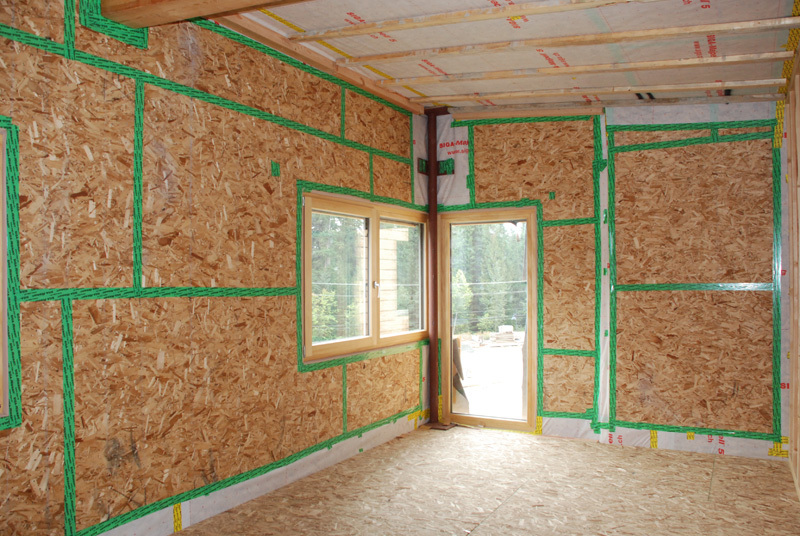 R90 walls… at what insulation value does it become overkill. Air infiltration is important too. Given the design of the panels and the fact that they install similarly to SIPs, air infiltration should not be an issue. 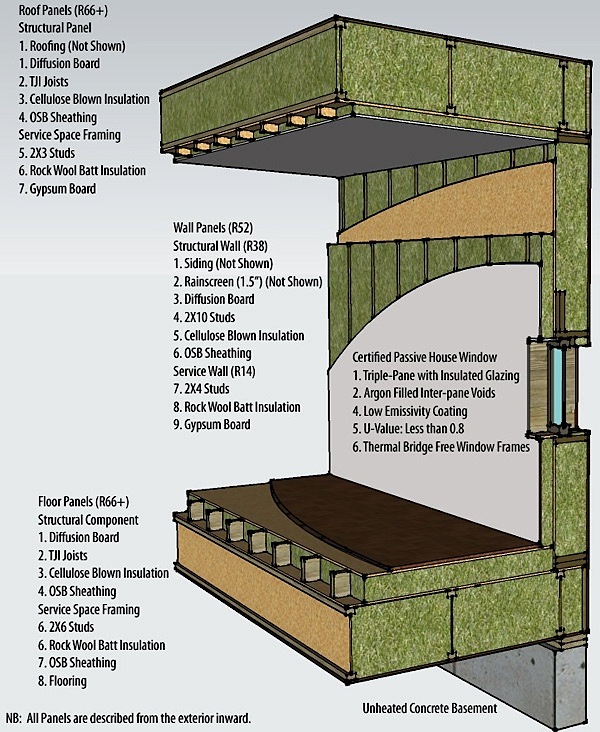 The whole idea of a Passive house is high insulation values. 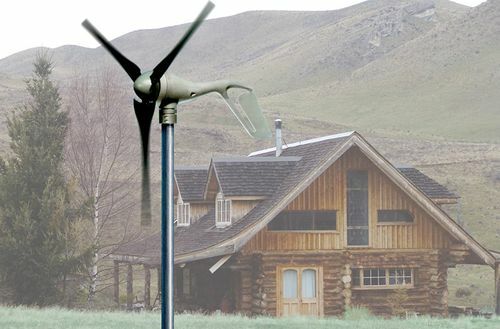 Particularly in climate zones such as Whistler it would not be that unusual to have high insulation values in order to meet Passive standards.